We admitted 1037 Syrian refugees to the US last month: how many Christians? a grand total of TWO Christian refugees, and 1,035 Sunni Muslims. How these people in Washington sleep at night is beyond me. And you most certainly did not hear this story on ABC, CBS, NBC, CNN, or FOX. Two people who believe in Jesus Christ were worthy of admission to our great nation? Two?? The number of Syrian refugees admitted into the United States jumped to 1,037 during May — an increase of 130 percent over the previous month — but the proportion of Christians among them remains miniscule: two Christians (0.19 percent) compared to 1,035 Muslims. May’s figure of 1,037 Syrian refugees brings the total number since the beginning of 2016 to 2,099 — compared to 2,192 for the whole of 2015, according to State Department Refugee Processing Center data. Earlier years since the Syrian civil war began saw much smaller numbers arriving — 20 in 2011 (dated from mid-March); 41 in 2012; 45 in 2013; and 249 in 2014. Of the 2,099 Syrian refugees admitted so far this year, six (0.28 percent) are Christians, 2,043 (97.3 percent) are Sunni Muslims. The remaining 50 are 17 (0.8 percent) Shi’a, 30 (1.4 percent) other Muslims and 10 (0.47 percent) Yazidis. Similar proportions are seen in the number of Syrian refugees having arrived in the U.S. since the start of fiscal year 2016: 2,773 in total, comprising 12 (0.4 percent) Christians, 2,703 (97.4 percent) Sunnis, 17 (0.6 percent) Shi’a, 30 (1.1 percent) other Muslims and 10 (0.3 percent) Yazidis. They have done so to escape the violence and deprivation generally, or to get away specifically from ISIS, other jihadists rebel groups, or the Assad regime — which is itself a minority regime that has committed atrocities, including alleged war crimes, against majority Sunnis and others. 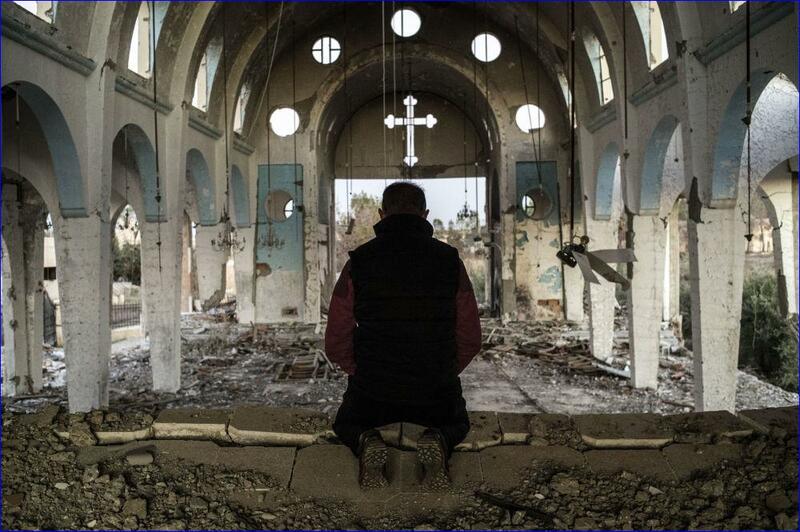 Although Syrians of all stripes have been affected, the number of Christians among those admitted into the U.S. — 1.3 percent — remains significantly smaller than the proportion of Christians in the total population when the war began — an estimated 10 percent, according to the CIA World Factbook. He was speaking at a House Foreign Affairs subcommittee hearing on steps that should be taken following Secretary of State John Kerry’s declaration last March that atrocities being carried out by the Islamic State of Iraq and Syria (ISIS/ISIL) against Christians, Yazidis and other minorities in areas under its control constitutes genocide. As CNSNews.com has reported previously, groups aiding Syrian Christians say many of those who have left the country avoid UNHCR refugee camps due to safety fears, seeking shelter instead with churches, charitable organizations or relatives in surrounding countries. The UNHCR has itself acknowledged that minorities “fear that registration might bring retribution from other refugees” in the camps. It has also said that accommodation in a camp is not a requirement for refugees to be registered with the agency. (So if you can be considered a refugee while living in a Christian-run camp, why can’t we help those folks? In 1933-1940 it was anti-Semitism that kept Jews off our shores. What is it now?? « Yes, Islamic State is committing genocide: now what?